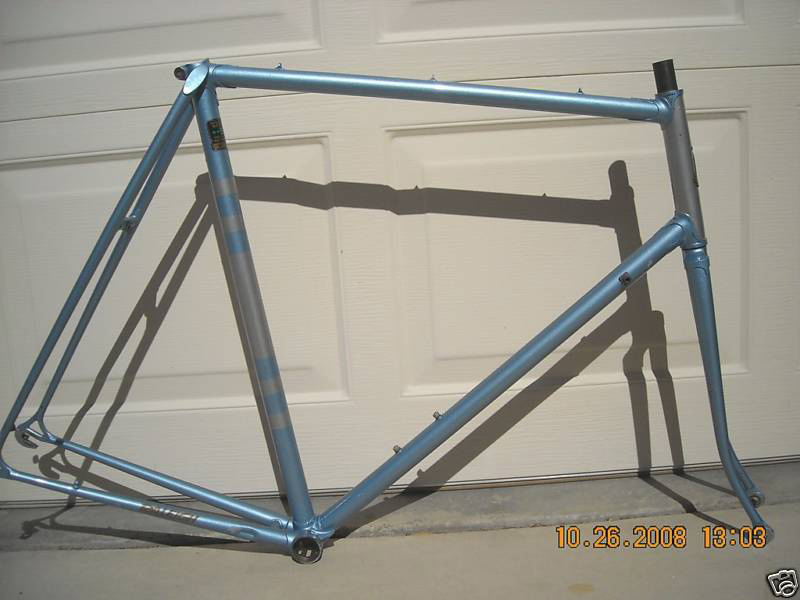 This is the frame I bought: Obviously missing a few decals, and the top tube has cable braze-ons...first red flags. So obviously they are both professionals, but I think there is a strong case that mine has been refinished. Why does this matter? It matters because the seller represented it over and over as original, so it just does. Is it possible that there was a mid-late year change made in the frames that was not documented? 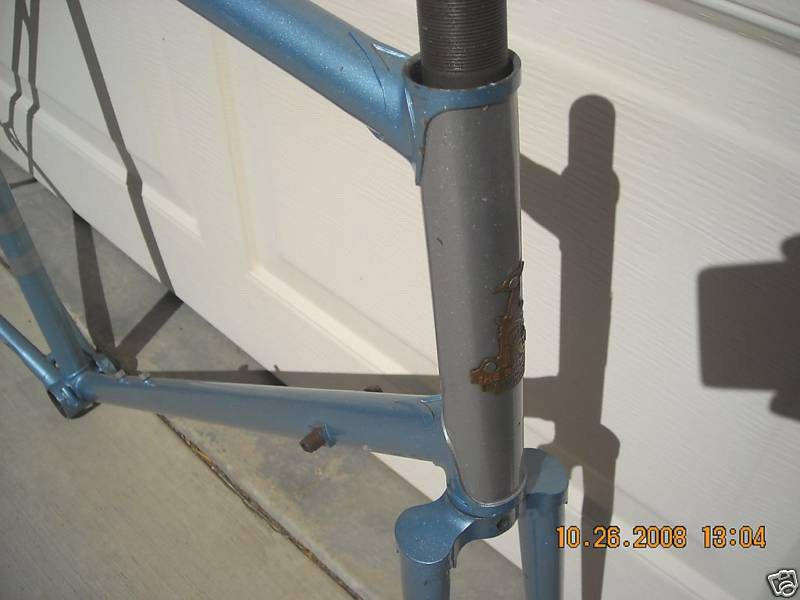 Is there some usually a tell tale sign that occurs when a frame is repainted (i.e. the inside of the tubes, different badge rivets) I am very interested in this and am hoping to get a good amount of feedback. This frame should arrive in the next day or so and I want to know as much as I can about it. Last edited by mkeller234; 11-20-08 at 02:28 AM. One other tidbit of info. According to my serial number (WM8000937) Mine was made approx September of 1978 and the other frame (WB8003282) was made approx February of 1978. So mine is about 7 months newer than the comparison. The bands have noticeably different measurements too. 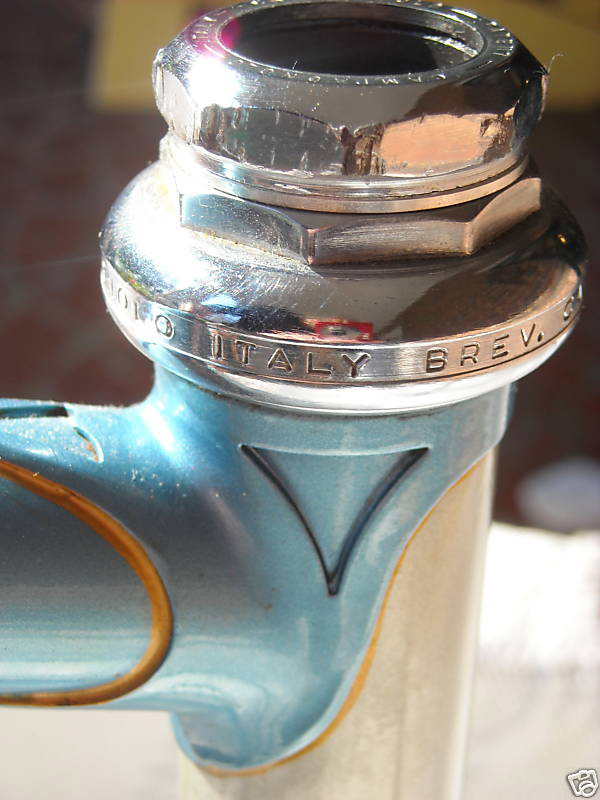 Striping can come off with polishing but you would likely see traces around the lugs. With paint (supposedly) that old you would likely see a difference in color where the decals used to be too from fading. 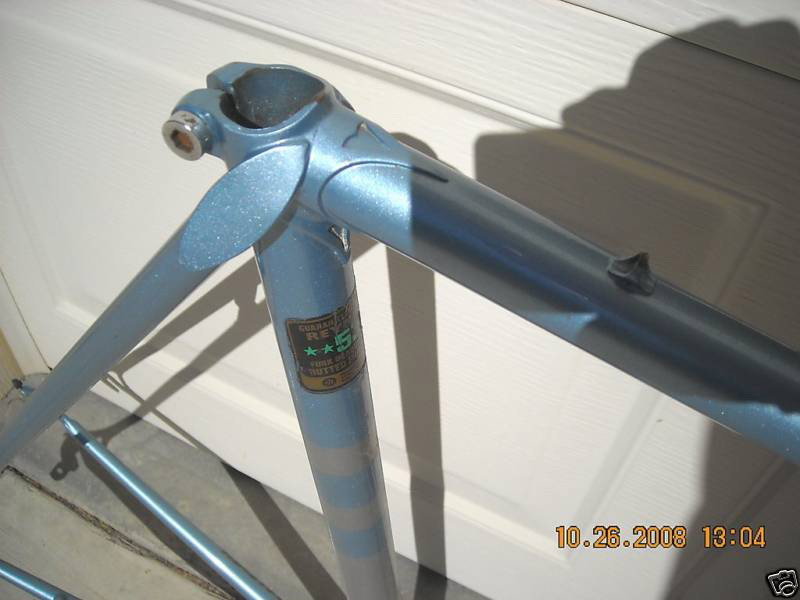 The color match is likely off so check for a noticeable difference in color on the steer tube and inside the lugs. If they didn't completely strip the frame prior to paint you my be able to see layers of paint colors in chips and scratches. The bands have noticeably different measurements too. Excellent observation, plus I noticed the chain stay decals are different colors between the two. The giveaway are the big fat rivets on the headbadge, as opposed to the originals, which were usually a bit round at the head, and quite understated. I wouldn't complain too much - chalk it up to experience. You got one hell of a nice deal there, no matter how you slice it. 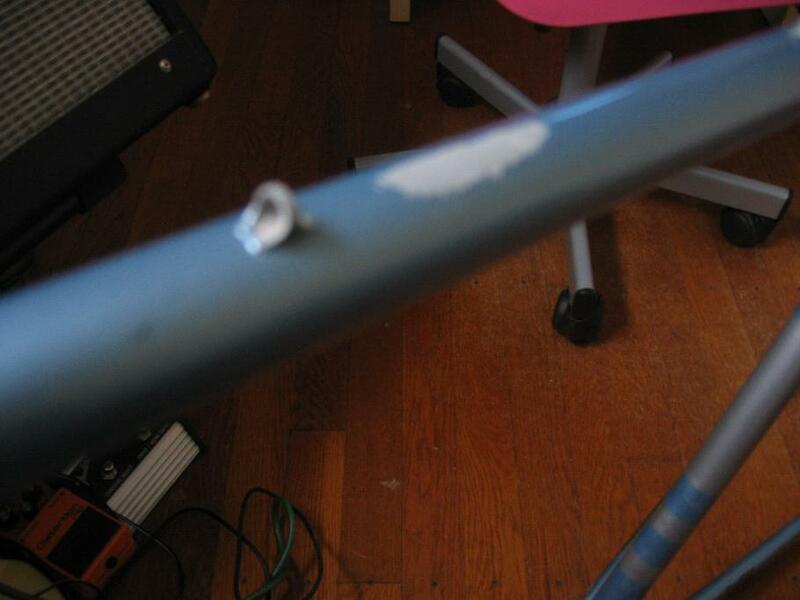 Those are a variant of pop-rivet used occasionally, but not frequently. The ones I have in mind are not pop-rivets. Try to compare yours to one that was made after September '78. Didn't Raleigh used to claim these bikes were hand made? I understand why you think they should all be the same, but I wouldn't rule out the possibility that there were different paint batches, etc. Maybe yours went through the painting department on a day when they lady doing the gold striping was out sick or something. Also consider that the seller might not have been the orginal owner of the frame and the information that was passed on might have some to them from the last owner. 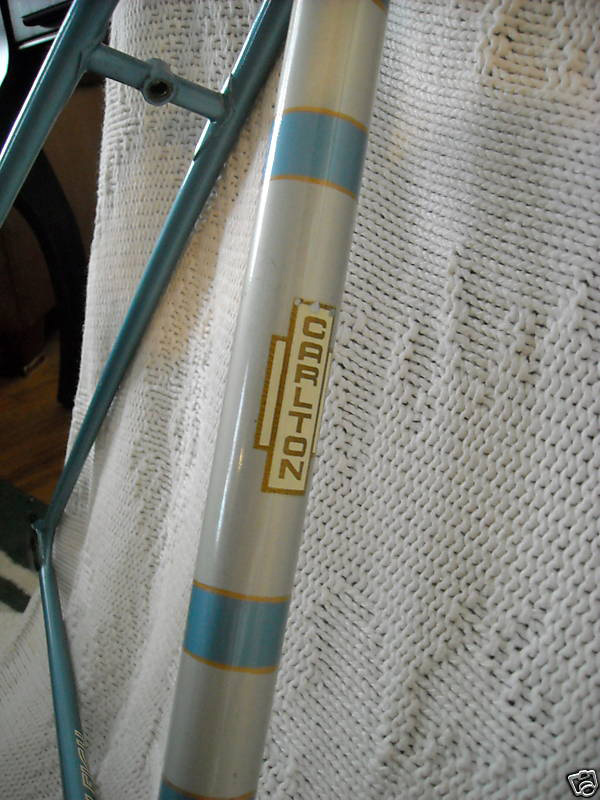 The gold bands on the seat tube are decals. Another couple things to consider - like cars, bicycles have model years, which don't coincide with calendar years. Also, inflation was running rampant in 1978, and it's possible that Raleigh undertook some cost-cutting measures in September that they hadn't considered doing back in March. It is possible that, with February and September frame dates, they could have been built for different "model years". I stop for people / whose right of way I honor / but not for no one. Originally Posted by bragi "However, it's never a good idea to overgeneralize." 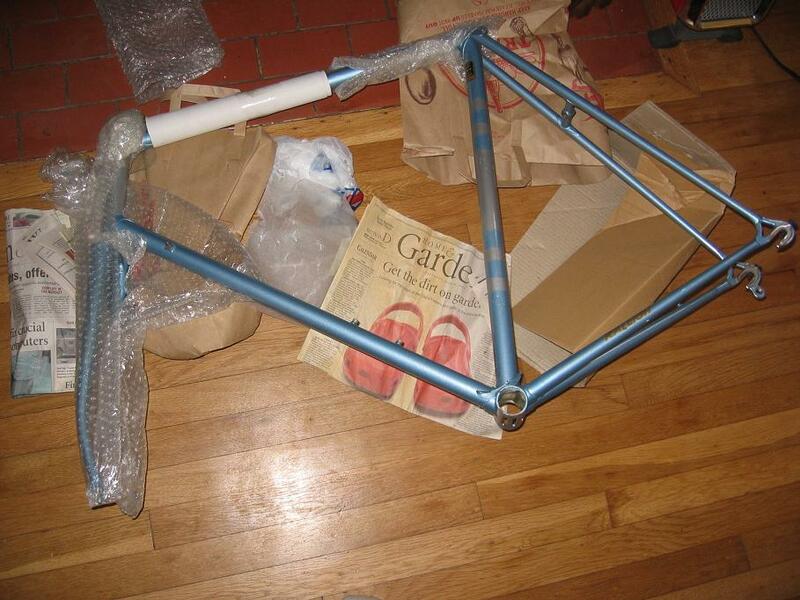 I've heard (yeah, Internet rumor) that you could send your high-end frameset back to Raleigh for modifications and a respray. So maybe that's what was done. I've also seen on Raleighs below the Pro all kinds of variations on the same model released the same year. Consistency was not quite the Raleigh thing in the 70s. Consistency was not quite the Raleigh thing in the 70s. For instance, my Carlton Gran Sport has no cable guides on the top tube, whereas almost all the others I've seen have guides below the tube. Back to your bike...it also looks like the bands on yours are silver, whereas those on the other frame are almost a cream color. Funny thing is, I would have said the standard color was more like yours. It's also possible there's color inaccuracies in the photos, my monitor, etc. You have a very nice frame there with a lovely paint job, whatever it is. Yeah, I do admit that I have been pretty uptight about the details in the frame. I bought it on the fourth and have been constantly looking at pictures and reading about them. I know I can't really make a great assessment of the frame till I am actually looking at the frame itself. 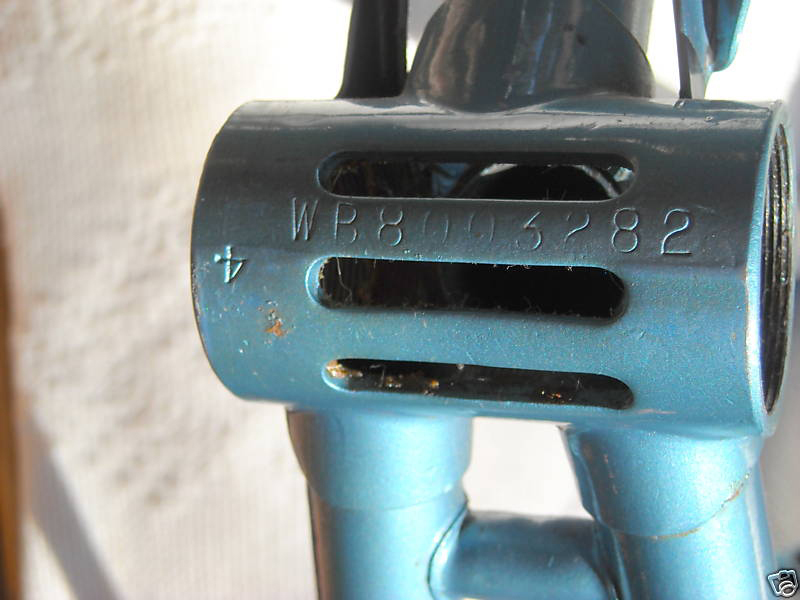 I guess with old bikes it can be pretty easy to obsess about details, and being new, it's hard to guage if that is either a small dissapointment or a ripoff. I am excited, and I am glad that no one has said anything like "sorry man, that is a raleigh ripoff made by Huffy and resprayed". Thanks for the responses, some very good suggestions in there, I have had most of those questions swirling through my head this month. That looks like the real deal here. 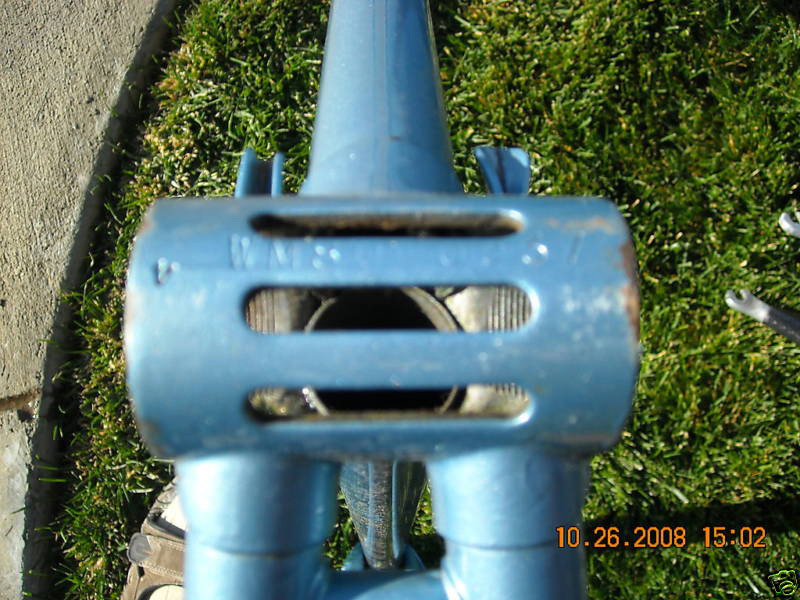 It's definitely a 531 tubed Raleigh made in '78, and that doesn't leave very many options. Yours looks about like the right colors, I agree gold lining seems to be missing; could be repainted. The colors in the first comparison shot you show are too dark and too yellow due to the flash. Ok, I just got the box, and I have to say I am a little steamed, actually neck vein bulging mad. So I want to ask a third party (you) and give myself time to cool down before, or if I write to the seller. So, I took tons of photos of the box, before during and after opening it, here is my case. Sorry to hear about the crappy packaging and the omitted paint damage. The seller has 100% feedback so I would calmly contact him and see if he'll work something out. On a side note: How weird is it that I just bought a Raleigh and your thread answers, or I think, many questions for me. Ese dicho que me han dicho que tú has dicho que yo he dicho, ese dicho no lo he dicho, porque si lo hubiera dicho, ese dicho estaría bien dicho por haberlo dicho yo. I'd ask for some of the shipping cash back (he just gets what it actually cost to ship) since he obvliously lied about the packaging. Since the frame made it alright I wouldn't be too upset, but he should be warned he needs to do a better packing job if hes gonna be shipping other frames to anyone. So many photos and still no revelation of the touchup to the top tube. Also no mention in narrative. 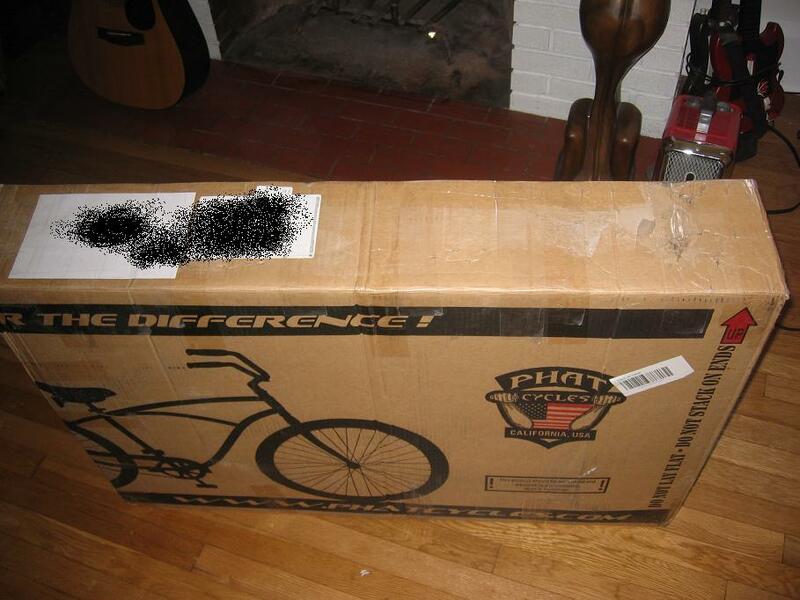 I consider this deception from an experienced seller. 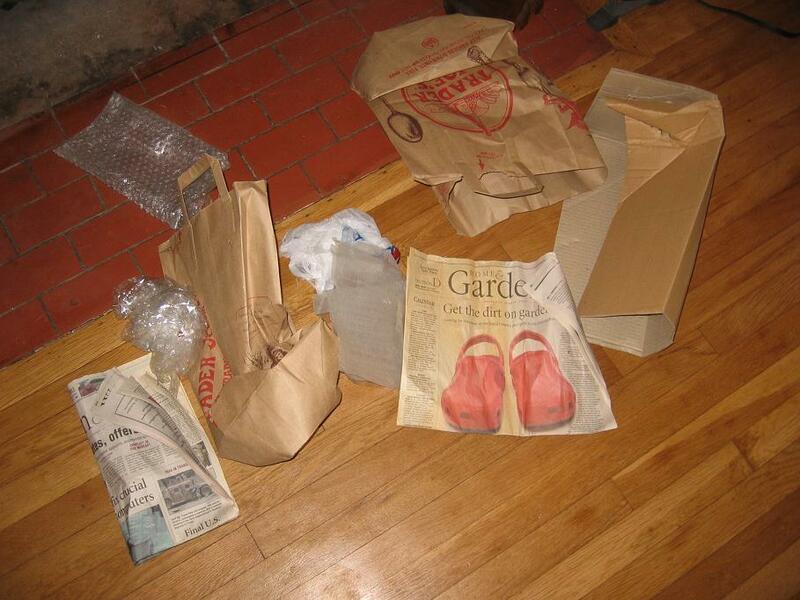 He is fraudulent in charging $50 and failing to deliver promised proper packing, even though it appears no damage resulted. Everything else the seller says, therefore, becomes suspect. gr23932, just out of curiosity, what questions did you have? I think my blood pressure is lowering, but I can't help but feel shocked. Last edited by mkeller234; 11-20-08 at 02:27 PM. "Hi! 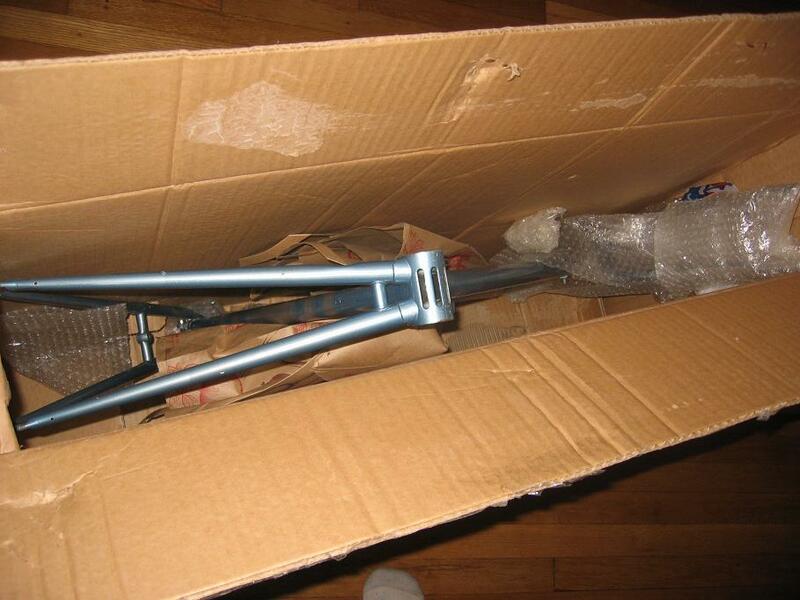 Yes, I've shipped hundreds of bikes & frames. I'll use a bike box, pack it with foam, stabilize. Then I'll send it insured. 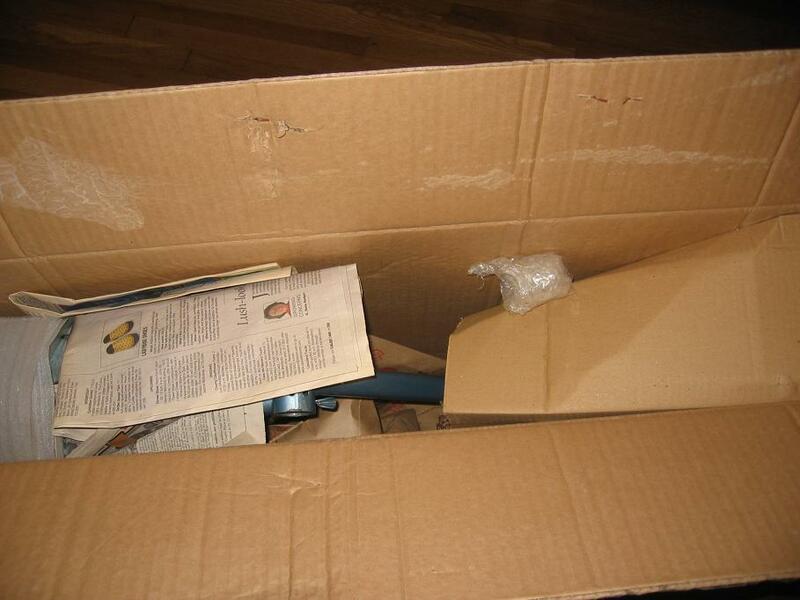 If you receive the box torn up, you're to give it right back to UPS. It'll work fine; don't worry." Bikes: IRO Jamie Roy, Old Araya fixed conversion. I HATE to take the guys side but he did clearly state... No dents or rust, paint good, so he makes no mention of paint touch ups and "good" does not mean flawless. Some of the responsibility for this ends up on your side of the transaction in making sure that you get what you paid for. That being said, I do think he intentionally photographed around it and it is super shady for him not to mention it, but its not his obligation to do so, just good manners. The packaging is a whole different animal though and I would definitely be pissed about that if he claimed foam and all you got was a few scraps of paper.